If you’re having trouble sleeping, these best natural sleep aid supplements may turn out to be the remedy you needed. Having too many worries on your mind will rob you of your precious sleep. And when you’re short of sleep, your physical health suffers and so does your mental wellness. Taking natural sleep aid is one of many ways to help you sleep better. At different stages of our life, we tend to face insomnia or difficulty falling asleep due to life challenges, physiological change or simply of our certain lifestyle habits. When you’re suffering from insomnia, it may seem that you have forgotten how to sleep, but this is due to the sleep cycle failing to kick in to replace the wake cycle. Besides that, anxiety and depression are also common causes of sleep issues. The nervousness or negative psychological changes can affect hormone and physiological aspect of your body. This can wreak havoc on your circadian cycle. Sometimes, insomnia could be the direct result of your particular lifestyle habits. If you’re one who enjoys working through late at night, your mind may be on the high and it can’t fall asleep without unwinding. Getting power naps in the afternoon may boost productivity for some, but also affects their ability to sleep at night. If you enjoy a shot of caffeine, do it in the morning. It is a stimulant that takes 8 hours to clear off your body. Also, taking heavy meals before bedtime is not going to aid your sleep in any manner. You may also want to avoid taking alcohol to get you into slumber. The initial sedating effect will weaken and your sleep may be disrupted later. Sometimes, it’s hard to pinpoint the exact reason that we’re losing our sleep. But there are certain steps that we could take to ensure a better sleeping environment. For a start, ensure that your bedroom is considerably clean and not cluttered with unnecessary items. If you have the habit of bringing electronics gadget to bed, you may want to leave them out of the room for a change. You’ll also want to ensure the room is dark enough to ensure that the level of melatonin in your body, a sleep hormone, is not disrupted. You may also find your mind racing with thoughts, especially if you’ve been having a stressful day. Getting a light workout, followed by a soothing bath and meditating can help both your mind and body to relax. There are other ways that may help you sleep better. But one undeniable remedy is taking natural sleep supplements. It helps to regulate the hormones and physiological changes in your body to prepare you for sleep. What Are Natural Sleep Supplements Made Of? Natural sleep supplements are typically made of known herbal plants that have been used for promoting sleep for centuries. Herbal supplements like chamomile, kava kava, and valerian root. There are also sleep supplements that combine two or more natural ingredients that provide the calming effect that helps sleep. What’s important is that they have no nasty side-effects to your health, as sleeping pills usually do. How To Choose The Right Natural Sleep Supplement? When it comes to natural sleep supplements, there are usually great options to choose from. It’s tempting to choose the cheapest products on the shelf but it’s seldom a wise decision. Instead, consider these points before choosing a sleep supplement. Allergic – What constitutes a good sleep supplement for one may be the cause of allergic for others. For example, people who are sensitive to ragweed may develop allergic reactions when taking chamomile tea. Single Ingredient Or Blend – Various herbs or ingredients used in sleep supplements may have different positive effects on your health besides encouraging sleep. The time taken for each ingredient to kick off may also differ. Deciding on a single ingredient or a blend is usually a personal choice. Physical Form – Capsules are undeniably the most convenient physical form of supplements to take. However, liquid extract is generally more efficient but with the potential to leave an uncomfortable taste for certain herbs. Manufacturer Credibility – When you’re buying natural sleep supplements, you expect to receive products that are free from any harmful chemicals. With the nutritional supplement industry being saturated by major and startup companies, it’s always a great move for a quick background check of the manufacturing company. You may be taking natural sleep aid supplements, but it’s wrong to assume there are no risks from doing so. Dosage – Always abide by the recommended dosage suggested on the manufacturer’s label. If you’ve never taken a particular supplement prior, you should start with a smaller dose before gradually increasing the dosage if required. If you’re not sure what’s the right dosage, talking to your doctor is the best option. Side Effects – Regardless of whether you’re taking herbal or hormone supplements, there are always risks of side effects. Some supplements like kava-kava may cause severe symptoms like liver damage when overdosed(2). If you experience any side effects when taking any supplements, do stop and consult your doctor. Drowsiness – Sleep supplements should never be taken when you’re driving or operating machinery. The effect may gradually kick in and before you knew it, you may experience heavy drowsiness. Only take sleep supplements before bedtime. Pregnant and breastfeeding women – Little research has been done on most nutritional supplements for pregnant or breastfeeding mums. It is better to stay on the safe side by avoiding sleep supplements unless advised by doctors. There are hundreds, if not thousands of brands and types of natural sleep supplements in the market. I’ve handpicked some of the best and explain briefly how and why it helps your sleep. Valerian root has been used by ancient Europeans to treat multiple ailments including sleep disorders. The root, when unearth, emits a pungent smell that may be overwhelming for some. 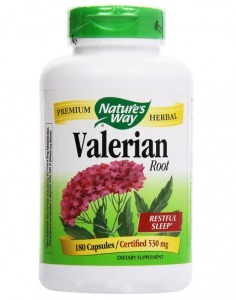 Numerous studies have suggested the effectiveness of valerian root in promoting sleep. It is believed that valerian root increases the level of GABA, a type of inhibitory neurotransmitter in your brain. 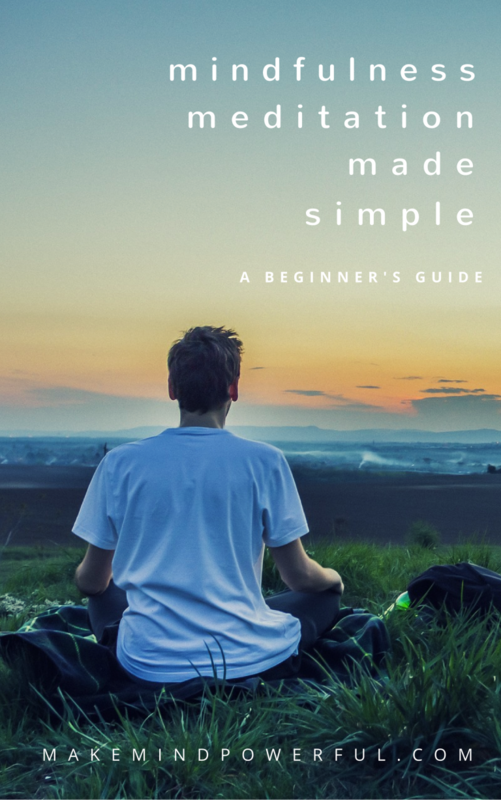 This causes you to feel calm and relax to have a better sleep. One of the best valerian root supplement for sleep is produced by Nature’s Way. The valerian root capsules have helped hundreds of users get better sleep. The capsules are made of pure valerian root and are non-GMO verified. However, the valerian root may produce an overwhelming smell that some users may not tolerate. It is suggested that you take 3 capsules one hour before bedtime, which will provide you with 1.59 grams of valerian root powder. Lemon balm belongs to the mint family. Despite its modest popularity, the ancient civilization of Greek was known to use lemon balm for stress relief and sleep. The lemon balm plant resembles mint with the leaves carrying the scent of lemon. This herbal plant is now grown not only in its native habitat in Europe, North Africa, and West Asia but also in North America and other parts of the planet. Lemon balm helps you to sleep by calming down any signs of anxious mind with terpenes, an organic compound found in the leaves. Herb Pharms lemon balm liquid extract may be of the best option to ensure you enjoy a relaxing sleep. It is made from organically grown lemon balm plant from the company ‘s own farm. 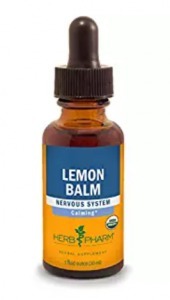 The lemon balm liquid extract is non-GMO, vegan and gluten-free. One of the benefits of liquid extract is the fast absorption rate of the supplement. You can take lemon balm extract by adding a single squeeze into 2 oz of water. Depending on individuals, you may take a single drop 2-5 times per day to make sleep easier. Kava kava may be one of the most potent and effective herbal supplement when it comes to relaxing your mind from stress. Despite the negative publicity in 2002 for suspiciously causing liver damage, it remains an effective supplement when taken within the recommended dosage. The major contributor to stress reduction and easier sleep is the kavalactones, an active ingredient in kava. It helps our body to increase the production of GABA, serotonin, and dopamine. These neurotransmitter and hormones help to increase positive mood and clamp down on excessive nerve activities. 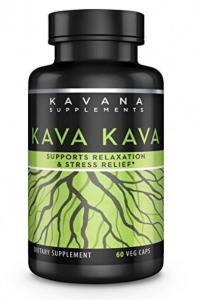 Kavana Supplements offers one of the most effective kava supplements in the market. A single serving of the kava capsules contains 400mg of kava extract in powder form with 30% of kavalactones. Taking a single capsule a day will help you to regulate your sleep cycle. The company manufactures its kava capsules in an FDA compliant facility, with carefully sourced ingredients. The kava capsules are regularly tested to ensure they are pure from contaminants and safe for consumption. Known as the ‘India ginseng’, Ashwagandha is a popular herb in India that has been applied for promoting stamina for centuries. The roots and leaves contain a group of steroid lactones and they are used for medicinal purposes. Ashwagandha is a type of adaptogenic herb. Adaptogenic herbs are known to be effective in reducing stress. The herbs help our body to counter the physiological changes that are induced by stress. Early studies on Ashwagandha has shown a promising result for inducing better sleep. 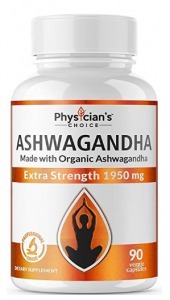 Physician’s Choice has one of the highest quality Ashwagandha supplement in the market. 3 capsules contain 1950 mg of Ashwagandha powder, a strong dosage for those who struggle with trouble sleeping. Each of the capsules contains black pepper powder that increases the absorption rate of the Ashwagandha extract. The capsules are manufactured in GMP certified facilities and each batch of the Ashwagandha capsules are tested and verified to be non-GMO and vegan-friendly. The purity is further ensured by the organic nature of the Ashwagandha herbs. Some tea will keep you awake due to their caffeine while some will help in getting you a good night sleep. Chamomile tea is one of the best bedtime tea to drink if you’re having frequent sleepless nights. Considered a rather safe herb, chamomile has been used for thousands of years for its calming properties. The wonder of chamomile is due to the flavonoids, a group of poly-nutrients found in plants. Chamomile’s flavonoids help the brain to relax and made sleep easier. While it’s a pretty safe herbal remedy, it is recommended that the maximum dosage of chamomile does not exceed 1,600 mg daily. 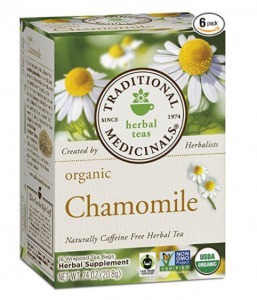 Traditional Medicinals offers one of the highest rated chamomile tea by consumers. The tea leaves are sourced from organically grown chamomile and are non-GMO verified. You can expect the highest pharmacopeia grade of chamomile leaves in the tea bags from Traditional Medicinals. Drinking a cup of chamomile tea an hour before you sleep will help to calm your mind down. Steep a single tea bag into a cup of boiled water for 10 minutes and you’ll enjoy sipping the bittersweet taste of chamomile. Melatonin is a naturally produced hormone that prepares your body and mind to sleep. This sleep-inducing hormone is produced when your body senses the dark environment, usually during night time. It would remain in your body for up to 12 hours while you remain in slumber. When you have trouble producing sufficient amount of melatonin, your sleep may suffer. The same goes for a brightly lit room or playing with your electronics gadget in bed. Melatonin supplement helps to increase the lacking melatonin to a normal level. 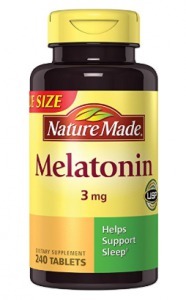 Nature Made melatonin tablets are great for regulating your sleep cycle. This particular contains melatonin (3mg) and calcium (65mg) in each tablet. The manufacturer recommends individuals who are having difficulty in sleeping to take 1 tablet an hour before sleep. The melatonin tablets are produced in manufacturing facilities with strict quality control procedures. They are gluten-free and contains no artificial colors or flavors. The USP Verified mark on the bottle indicates that the tablets are tested to ensure the highest level of purity. Magnesium is one of the most important key minerals that ensure your health is in proper shape. The lack of magnesium can cause multiple health issues like cramps, numbness and in chronic cases, lead to anxiety and depression. Poor mental health often leads to equally poor sleep quality. This is often reflected by the low level of GABA, a neurotransmitter that promotes calmness. Magnesium helps to boost GABA and suppress cortisol, a hormone regularly linked to stress. There are many forms of magnesium available, with each having slightly different effects on the body. To promote sleep, it is important that you’re taking supplements that contain magnesium glycinate. It helps to relax the mind and has a high absorption rate. 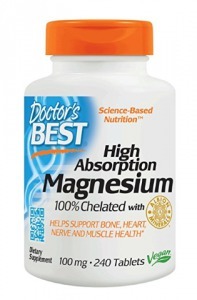 Doctor’s Best has a highly effective magnesium supplement in tablet form. It is produced with a patented technology that increases its bioavailability. This means the magnesium glycinate has a high absorption rate and effective for individuals struggling with sleep issues. Besides being manufactured in a GMP certified facility, the manufacturer engaged 3rd party tester to ensure that the purity and ingredients are according to the label. It is recommended that you take 2 tablets (200mg) daily for noticeable changes. Amino acids are vital in ensuring both our mental and physical health. L-Tryptophan is an amino acid that is essential for our mental well-being but is not produced by our body. It is found in foods like nuts, soybean, cheese, and chicken. When food containing L-Tryptophan is digested, the amino acid is broken down to serotonin, melatonin and vitamin B6. Serotonin is important in helping us to maintain a positive mental state while melatonin helps to ensure that sleep is not a struggle. It is important to take L-Tryptophan according to the recommended dosage. While it is highly potent, an overdose of L-Tryptophan can lead to serious side effects. NOW is a nutritional supplement company that spends more than 50 years producing high-quality wellness products. 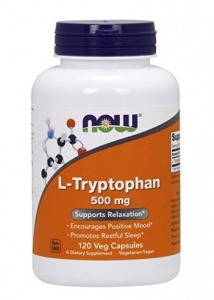 Its L-Tryptophan is guaranteed to have pharmaceutical grade potency. The capsules are made of vegetarian-friendly ingredients and are non-GMO certified. To have the best effect from the L-Tryptophan, it is recommended that you take 1-2 capsules, 2-3 times a day before meals. Taking the capsule an hour before bedtime helps you to get better sleep. 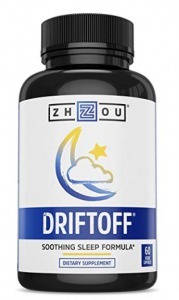 DriftOff is a sleep aid supplement manufactured by Zhou Nutrition. The company believes in procuring the finest ingredients from around the world before subjecting them to rigorous testing in their lab. The DriftOff is a blend of seven different natural extracts and ingredients including valerian root, GABA, Tryptophan, chamomile, passion flower, lemon balm, hops, and melatonin. It’s a harmonious blend of some of the best natural remedies for stress relaxation, anxiety, and insomnia. The right synergy of the formula ensures that not only you’re able to fall asleep easily, but also wake up feeling refreshed. The capsules are made of vegetarian-friendly ingredients and contain no habit-forming substances. Taking 2 capsules before 30 minutes before bedtime is all that’s required to ensure a relaxing sleep. 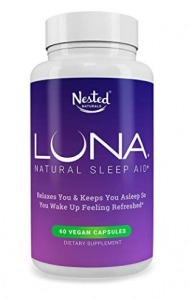 LUNA is another popular natural sleep aid supplement produced by Nested Naturals. Nested Naturals is determined to differentiate itself from profit-driven competitors by putting people and planet first in its business practice. This supplement contains the right blend of calming ingredients like L-Theanine, valerian root, chamomile, passion flower, lemon balm, Hops, GABA, and melatonin. It’s the perfect answer to your series of sleepless nights. Nested Naturals provides a lifetime-guarantee as it confidently stands before the supplement. It is made with quality in mind in a GMP certified facility and contains no harmful or habit-forming substances. The capsules are ideal for vegans who are having sleepless nights. It’s best to take 2 capsules 30 minutes before sleep for the extracts to be absorbed into your digestion system and promote a relaxing mental state. 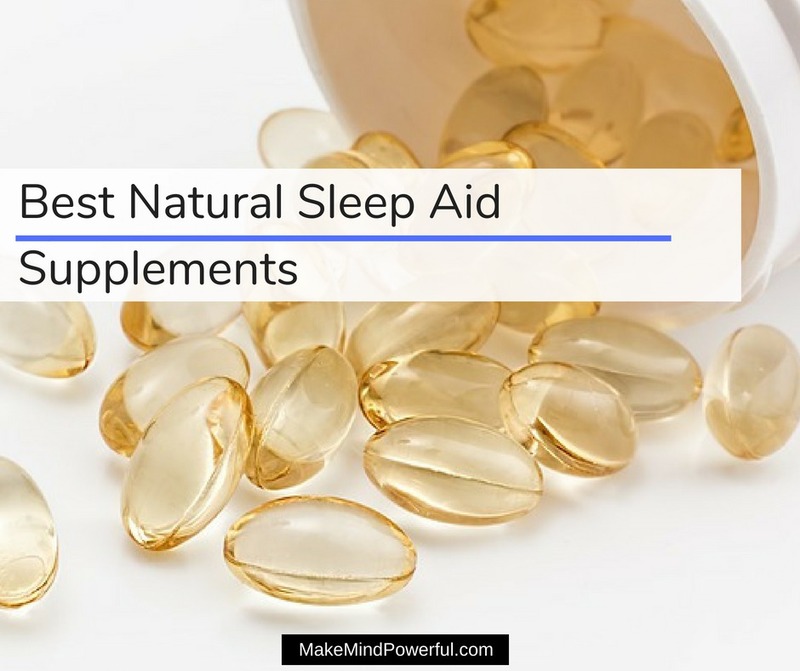 I hope some this guide of the best natural sleep aid supplements has been helpful to you in ending your struggle with sleepless nights. What have you tried to promote sleep? Share your thoughts in the comment below.